let alone have her revenge? I loved this novel. Although these feelings didn't surprise me one bit. I have been looking forward to this novel ever since I heard about it (I don't know when this was...). I'm going to start this review by mentioning one thing about this novel I found extremely unique and, honestly, such a great idea for a novel that is set to have a lot of world building. 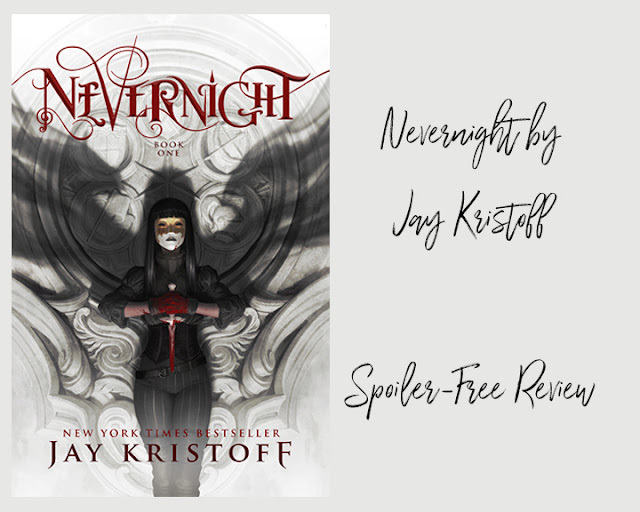 Jay Kristoff had an array of footnotes in this novel that would, in the most basic sense, provide a background for the things that a character mentions or is mentioned during the narrative of the novel. This was a super smart way to ensure the reader isn't confused or unable to follow along, without having to find a way to fit the information into the normal text and take up more space than necessary. Additionally, these footnotes were always written in a way that came across as a sarcastic and funny narrator was "teaching" us about the world. Let me just say, the sarcasm was an excellent touch. Moving on to the characters. Mia was all that I would have wanted in a strong female protagonist. She was outspoken and didn't make decisions that made me question her sanity (mostly). Also, Mia had a hard life and I like that we were shown that at some times she did show fear and she did feel things like everyone does, but she didn't let that stop her or limit what she can do. This strength allowed Mia to help the people she cares about when it would have been in her best interest to help herself and that just cements your appreciation for her character. Due to the spoiler free nature of this novel I don't want to touch upon many other characters because I think half the fun of the novel is figuring out who a character turns out to be and loving them because you do, not because someone convinced you to. The plot of this novel was intense. It was intense and it was very fun to read. 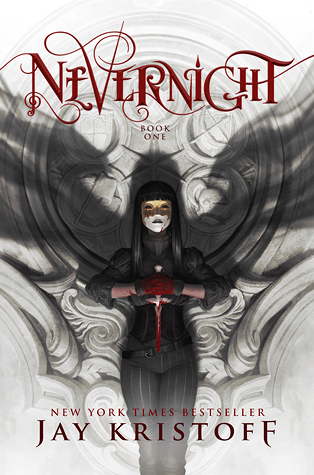 I'm a huge sucker for assassin novels and assassin schools and everything that entails when a book claims to have assassins. If you are the same way, then I really recommend you read this novel ASAP. Especially since the next novel should be coming out soon and you want to be prepared for Godsgrave! Jay Kristoff is slowly beginning to become a favourite of mine. The first novel of his I read was Illuminae and I absolutely loved the plot and set up of that novel so I wasn't shocked to realize that this novel wasn't any different. This novel was a roller coaster from beginning to end and it had twists and turns that you would never expect from it. In addition to the intensity of the novel, it didn't shy away from showing you raw human emotions and some truly heartbreaking scenes. This novel goes from present to past tense and it fits so well into the novel that you find yourself never dreading either section because both "plot" points are so intriguing and draw you in very quickly. Well there you have it guys! I hope you like my new review formatting, I'm trying something new so let me know how you feel about it. I kind of love it! I figured that having the review in one concise section instead of separating it by category would make the reading experience a bit more enjoyable (and look a bit nicer...). I also thought I'd try something new and provide you guys with a playlist of what I listened to whilst writing this post. Please leave a comment down below if you like this addition or if it's a bit unnecessary! !